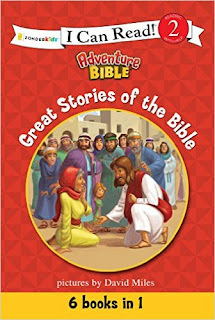 Great Stories of the Bible (I Can Read! / Adventure Bible is an awesome book! I love that this book contains 6 I Can Read! books and has a hard cover. My 6 year old just started reading on her own and this is the perfect book to start her out with. Not only is she reading all about people in Bible times and their adventures but she's improving her reading with each and every story. I love seeing her sit down and read this all on her own. This set is absolutely fabulous for newly independent readers! 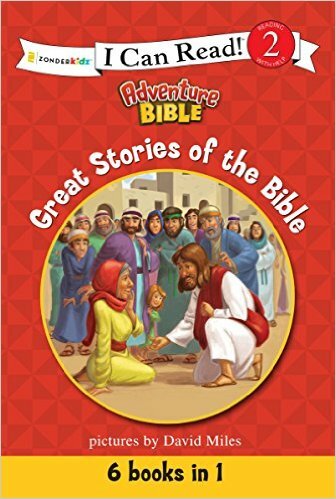 You can find Great Stories of the Bible (I Can Read! / Adventure Bible) on Amazon, Barnes and Noble and other bookstores.